FREE EXAM FOR FIRST NEW CLIENT VISIT! Complimentary pet health exams for pets of Veterans. ( $59 Value). The following positions are available Immediately! Seeking Experienced Full time or Part time Associate. Experienced RVT (will consider unlicensed if very experienced and with good references) at our small animal hospital. Must be proficient in computers (cornerstone) surgery assistance, anesthesiology and intubation, blood draws, catheter placement, in house laboratory testing, exam room preparation, record keeping, client education, dentistry, have good communication skills, be energetic, have a good work ethic and be a team player. Receptionist/Admin. Assistant at our small animal hospital; must have veterinary front office experience and be proficient in cornerstone software computer systems, preparing ads on the computer and marketing a plus! Experience the Difference … Not All Pet Care Is Created Equal! Welcome to Watt Avenue Pet Hospital & California Dental Specialty Hospital in Sacramento. 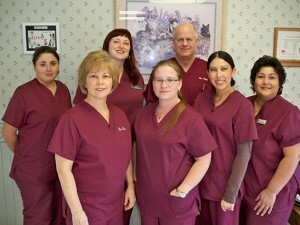 Dr. Susan Barrett, Dr. Grady Wills and our entire staff welcome you to Watt Avenue Pet Hospital. We strive to provide high quality, compassionate, affordable medicine for your cherished pet. Our full-service hospital has served the Greater Sacramento area since 1981. That’s why Watt Avenue Pet Hospital employs only the most qualified, compassionate veterinary specialists in the Sacramento area. We understand the vital roles pets play in their owners’ lives and commit our practice to providing professional, expedient care. We provide everything your pet needs and more. Please browse our website to learn more about our practice and the services we provide. Since 1981, the mission of the veterinarians and staff at Watt Avenue Pet Hospital has been to assemble and maintain a veterinary health care team committed to providing exceptional client service and outstanding health care for family pets. The Watt Avenue Pet Hospital team displays an unrivaled commitment to our clients through continuing education, technological advances in veterinary medicine and service, and most importantly, providing compassionate care to all pets entrusted to us. We have cared for pets throughout Northern California / Nevada and have served the Greater Sacramento area since 1981. Watt Avenue Pet Hospital was founded and is owned by Dr. Susan Barrett, a 1980 honors graduate of the Oklahoma State University College of Veterinary Medicine with over 30 years of experience. Watt Avenue Pet Hospital is a full-service animal hospital accredited by the prestigious American Animal Hospital Association. Only 15 percent of hospitals in the U.S. are qualified for membership. Out pet hospital provides the highest standard in veterinary care, including state-of-the-art equipment and anesthesia protocols, a complete laboratory and pharmacy, ultrasound and radiology, orthopedics, advanced dentistry, allergy / dermatology service, cosmetic surgery, certified nurses, continuing education, state-of-the-art pain control, and a commitment to excellence. Our Sacramento Veterinary Hospital prides itself on offering personalized medical care for your pet. Dr. Barrett is a breeder and exhibitor of the Cavalier King Charles Spaniel, finishing multiple award winning AKC Grand Champions and Cavalier King Charles Spaniel USA BIS Champions.